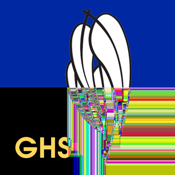 Th Glenwood High School mobile app is custom built to serve the needs of our school community, by improving communication between the school and its families. Removing the need for paper sick notes and school newsletters. This two way communication app means parents and the school staff can always be better prepared for the day ahead. Which is of course in the best interest of our children. Great care has been taken to provide a valuable service to meet the needs of our community.